Today, Wouter Helmer, co-founder and Rewilding Director of Rewilding Europe, received a prestigious Dutch conservation award, the ‘Groeneveld Award’ (Groeneveldprijs) at the Groeneveld Castle in Baarn, the Netherlands. The award council report describes Wouter Helmer as ‘an instigator of modern ecology, a brilliant and connecting thinker and a great communicator. 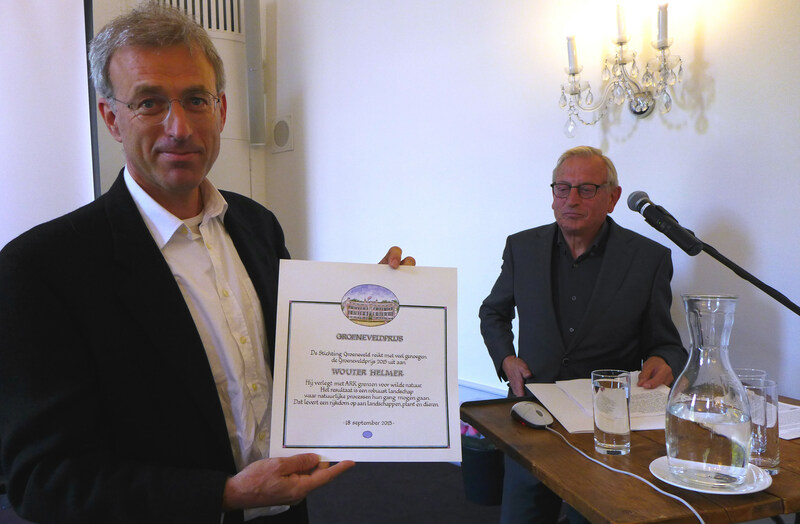 Wouter Helmer, co-founder and Rewilding Director of Rewilding Europe receives the ‘Groeneveld Award’ (Groeneveldprijs) at the Groeneveld Castle in Baarn, the Netherlands. 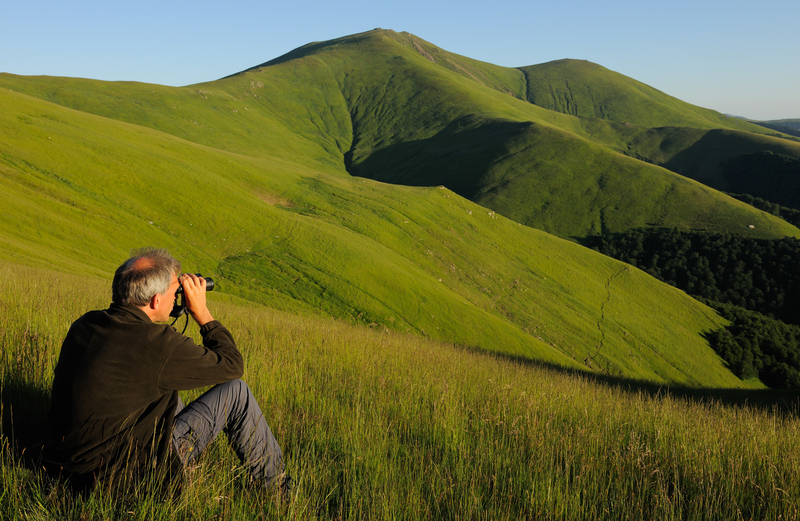 The Groeneveld Award, active since 2000, comes with a financial contribution of 5,000 Euro and is granted each year to a person or organisation that has made a special effort in the European conservation scene, with critical and innovative thinking. Wouter Helmer, Rewilding Director, at the Alpine grasslands in the Tarçu Mountains Natura 2000 site in Southern Carpathians rewilding area, Romania. His understanding of ecosystems and ‘trust’ in natural processes, the connection with relevant socio-economic factors, and his cooperation with a wide range of (often non-conservation oriented) partners has generated many successes. Not in words, but by pioneering and demonstrating such new concepts in practice, has delivered meaningful rewilding initiatives in the Netherlands and beyond. One of his main achievements is his contribution to rewilding Dutch rivers, connected to flood protection and recreation. Pilot projects starting in a few areas in the late 1980-ies, became mainstream river management concepts, and resulted in the Dutch appreciating and enjoying their floodplains much more than ever before. During his lecture at the award ceremony today, Wouter emphasized the need for new concepts in nature conservation in Europe. –‘’ Rediscovering ourselves as hunters and gatherers in a modern Europe, but this time hunting pictures and gathering experiences, means reconnecting with wilder nature in a new way’’, he explains. ‘’We should thereby take the angle of wildlife ecology, which provides new insights in developing new and dynamic concepts for European ecosystems’’. Rewilding team – Neil Birnie (Enterprise Advisor), Frans Schepers (Managing Director), Wouter Helmer, (Rewilding Director) and Staffan Widstrand, (Communications Advisor) at the bison release in Southern Carpathians rewilding area, Romania. 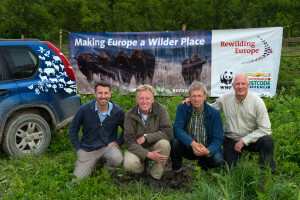 Wouter announced that the financial contribution connected to the Groeneveld Award would be used for supporting a European bison breeding centre in the Veluwe area in the Netherlands. Here, this species will be reintroduced in spring 2016; the animals are part of the European Wildlife Bank, managed by Rewilding Europe. With this funding, the right genetic composition of the bison herd, training guides and involving local entrepreneurs will be supported. Rewilding Europe cordially congratulates Wouter Helmer for receiving the Groeneveld Award, and is proud to have him on the team.